Shelby Winslow raises her bow to take a shot at the Great Olympian Indoor Archery Range in Lee's Summit. With the recent success of The Hunger Games book and movie series, competitive archery has become a rapidly growing sport with young women across the U.S. Missouri even has its own Katniss Everdeen — the series' main character — her name is Shelby Winslow. The Great Olympian Indoor Archery Range in Lee's Summit, Missouri is where the 3-time state archery champion, who is 16, practices her prowess. Shelby makes shooting a bow and arrow look easy. She’s rated as on the best overall archers in the state and highly ranked nationally and internationally. Some might say this girl's on fire, but she typically plays it cool. “Archery is something that you have to really keep a cool head about. It's OK to lose an arrow, it’s not OK to lose composure,” says Shelby about the archer philosophy. For Shelby, however, archery wasn’t always something that came naturally to her. In the archery world, it’s not about winning or losing, its about winning and learning. “If you don’t win, you learn, so if you don’t win a tournament you learn why you didn’t and why whatever is going wrong is going wrong so you figure that out for next time,” she says. Competitive archery is a relatively simple sport compared to more popular ones such as football or wrestling. You simply line up your shot, aim for the center of the bullseye, and release. Sounds simple, right? In competition, each shooter gets three rounds to shoot five arrows at 10 meters and another three rounds to shoot five arrows at 15 meters, for a grand total of 30 arrows. The target itself is 80 centimeters in diameter with the bullseye being only about 3 inches wide. Imagine trying to hit a bullseye the size of a baseball from the distance of half a basketball court. Still sound simple? “Just about the smallest things ever have the biggest difference when you shoot; humidity, heat, wind, sometimes rain," says Shelby. "I don’t shoot outside very often but I know that I’m going to eventually and when I do that’s something that you really have to take into consideration because you’re shooting from 60-70 meters at a target outside and if it’s windy, if the weathers bad, you just have to learn to deal with it." “And, it’s just fun,” adds David Winslow, head coach for the Lee’s Summit West high school archery team, and Shelby Winslow’s father. “A lot of people talk about other sports, and you hear people, 'well, just have fun,' but there’s something about — in football, for instance —being out in the full gear in August and running hills, that is not fun. Something about that third period of a wrestling match when you’re about to puke, that’s not fun. Whereas every aspect of archery is really fun,” says David. Part of the reason as to why archery may seem so fun, David mentions, is that fact that you don’t need to be particularly strong or fast like with other sports. “There’s not any physical characteristics that would lend somebody to just pick up a bow and shoot it well and say ‘hey, we’ve got a natural here.’ It’s more of something that occurs over time because with archery, there’s no short cuts, there’s no tricks. You just have to kind of work at it — a lot,” he says. Shelby’s passion for archery began about four years ago when her sixth grade teacher decided to start a team at her elementary school. “I realized that it was something that I really liked to do. And because my dad had shot when he was little it was something that he was willing to get himself into too — and with me, so we shoot together,” she says. In the last several years, the number of archery programs in Missouri have increased dramatically. According to David Winslow, more than 300 schools in Missouri participated in the National Archery in the Schools Program (NASP) last year. This year, he says, nearly 500 schools are participating. And the numbers just keep rising. “It’s growing exponentially. Hollywood is playing a role in that,” says David, referring to the connection between The Hunger Games series and the rising popularity of archery programs in schools today. “A lot of people can look at Katniss Everdeen — and that’s one of the reasons why the series is so popular is because a lot of girls and individuals can relate to her,” he says. Shelby is a big fan of the series, however, she says, she was shooting a bow and arrow before she ever knew about the Hunger Games. While practicing her bow and arrow at home one night, Shelby’s mother casually called her “little Katniss.” At the time, Shelby had no idea what her mother meant until she was introduced to the book series. Since then, the name “Katniss” has become a household nickname for Shelby. “Every time before a tournament [my brother will] go ‘shoot straight Katniss,’ like Peeta said to Katniss in the book," she says. "There’s a movie promoting my favorite sport, it’s pretty great." And little Katniss is something that the archery world has taken note of. In December of 2014, the Missouri Department of Conservation produced and released an archery promotional video that was screened in movie theaters across the state before showings of the most recent Hunger Games film. The video, created for NASP, starred Shelby Winslow and was edited in the same dramatic vein as the Hunger Games films. Coincidence? Absolutely not. 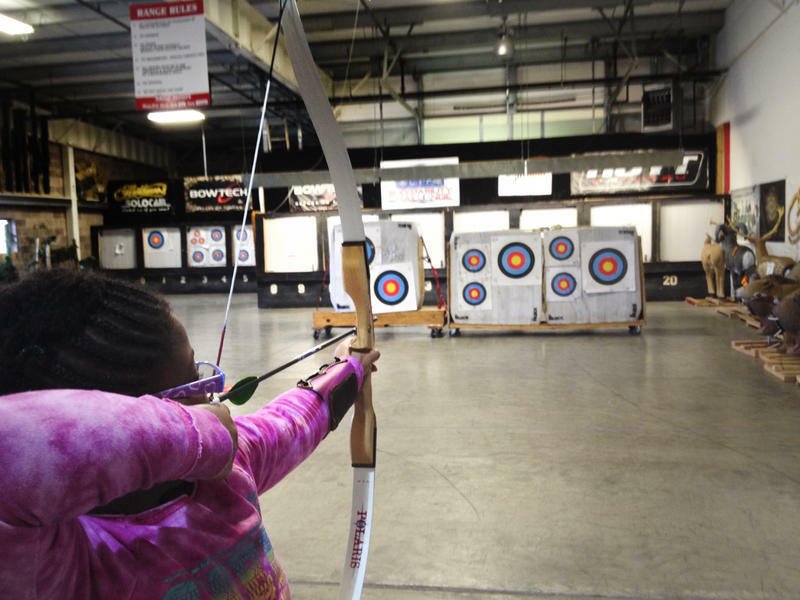 Tween franchises aside, NASP promotes the idea that students can actually improve their educational experiences in school because archery may help to develop skills like motivation, attention, behavior, attendance, and focus — valuable lessons in the modern world. “Archery [has] a really unique way of calming you down and making you think about things. There’s so many valuable lessons you can learn from archery that you can apply to real life situations,” says Shelby. And, for an archer like Shelby, those lessons come in handy. Currently a high school sophomore, she’s also a member of the high school cross-country team and a cart-racer. After high school, Shelby says she plans on pursuing a career in the medical field. But first, she’s the reigning 3-time Missouri state archery champion, and an Olympic hopeful. The first bow and arrow is believed to have been used around 12-thousand years ago, but with the rise of guns, archery fell out of favor. Now, it’s being revived with the help of school programs across the county. Eric Edwards from the Missouri Department Conservation and coordinator for the Missouri National Archery in Schools Program shares with us how archery is helping young people learn discipline, love of sport, and concentration. The indoor shooting range at Archery in the Wild in northern Colorado used to be dominated by camouflage and hunters. But on this Saturday morning, the archery range is dotted with ponytails and 7-year-old girls like Y'Jazzmin Christopher. The popularity of The Hunger Games series is fueling an interest in the sport of archery, particularly among girls. Some sporting equipment outfitters say they've seen a big boost in bow and arrow sales since the film series began in 2012. 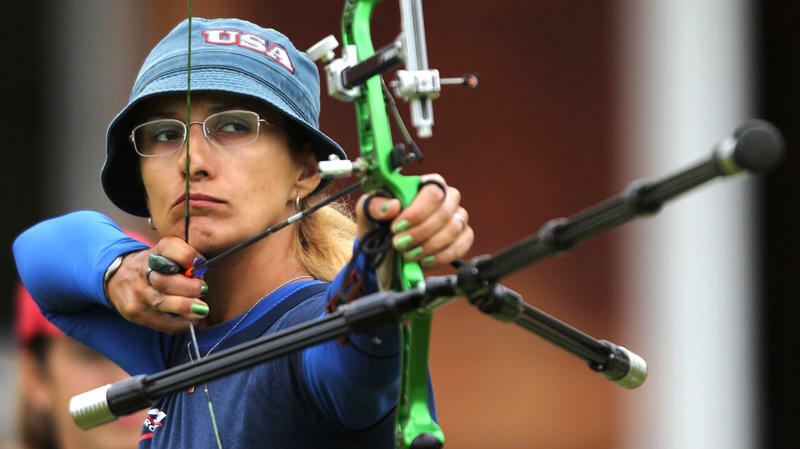 This summer, U.S. archer Khatuna Lorig hopes to return to the Olympic Games. But she's already helped put archery into The Hunger Games this spring — by training the film's star, Jennifer Lawrence, to shoot. 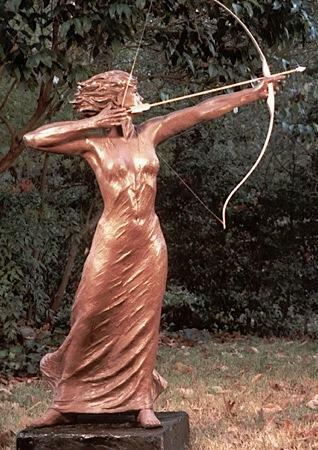 In the kill-or-be-killed competition in the film drawn from Suzanne Collins' book, Lawrence's character, Katniss Everdeen, relies on her ability with a bow. And Lorig worked with the actress to ensure she had proper form.